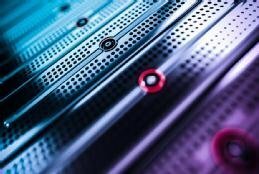 A software-defined data center is demand-driven infrastructure centered on the idea that it will respond to the needs of the business and deliver applications on-demand. However, because the underlying hardware in software-defined infrastructure changes at a different pace than the software, it can complicate IT budget planning. It takes seconds to minutes to deploy a VM or container, for example, but can take weeks to months to buy more servers or storage to hold those VMs and containers. In addition, the budget to buy those servers may only be available once every three years when a hardware refresh is due. When you implement a software-defined data center (SDDC), you'll face some significant challenges around IT budget planning and management. To maximize the value of an SDDC, you must spend money differently. For example, you'll want to buy infrastructure over time rather than make an upfront purchase. A main objective of an SDDC is to deliver public cloud-like capabilities to on-premises IT. One of the most difficult cloud capabilities to deliver is elasticity -- the ability for users to treat the cloud as an infinite resource. Tenants of a public cloud service can deploy new workloads without considering whether the cloud provider has enough resources to support them. Individual tenants could also possibly see workload spikes. For example, there could be a spike in resource demands during the holiday season for cloud-based systems that support retail businesses. Cloud providers can handle these spikes by averaging them across many tenants. This is because, for the most part, the demand increases don't all happen at once. During the holiday retail boom, for example, there will likely be a drop in demand from fruit processing businesses, which thrive in late spring and summer. The provider only needs to have enough spare capacity for the average load increase. Across 10,000 tenants there may only be capacity for 50 of them to spike at the same time, with about 10% of the total cloud capacity in reserve. On a large cloud, this could equate to capacity for 10,000 new VMs for those 50 tenants, which is a lot of elasticity. What businesses need in a fast-changing environment is the ability to grow infrastructure over time. To remain cost-effective, the unused proportion of infrastructure should remain low. Yet, it is this same unused infrastructure that can accommodate workload growth and demand spikes. The key to business value, and to successful IT budget planning for SDDCs, lies in balancing the cost of unused infrastructure with accommodating demand spikes. Conventionally, enterprises replace data center infrastructure every three to five years. Between refreshes, there is no change in available capacity. Over the years, infrastructure goes from being underused to overloaded. At the start of that infrastructure's life, everything is paid for, but only a fraction is used. Usually somewhere in the middle of its lifespan, the infrastructure reaches a target utilization, making it cost-effective for a while. Usually, workloads on that infrastructure grow until spikes cause poor performance. If you are a retail company, that poor performance can translate into lost sales and lower profitability. What businesses need in a fast-changing environment is the ability to grow infrastructure over time. This requires both infrastructure that can grow and a budget to buy that growth. You should be able to buy enough infrastructure to support your workloads now, plus enough to support six months to a year of growth and predictable spikes. After three to six months, you might find workload growth to be faster than expected, meaning you need to grow your infrastructure early. This requires a flexible budget to buy infrastructure in the middle of a budget cycle. The good news is that you should have spent less at the start of your SDDC implementation, so some of the hardware refresh budget will still be available, along with any interest you were able to earn while holding that money. In most businesses, this will work fine for the first year. But if you have money left at the end of the year, you will have to give it back and, as a result, you will get a smaller budget next year. To get the real value of SDDC, you need to carry over some of that credit into the next year. And for an SDDC to enable the business as well as IT, it needs to deliver financially, as well as on agility. How much room for growth and systems spikes is currently built into your IT budget?